World’s best rock-crawling tire. Unprecedented grip on rocks, mud and dirt. 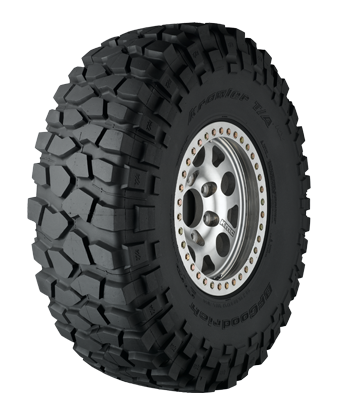 Super-tough carcass with deep-lug tread pattern and soft, grippy compound that grabs onto uneven surfaces for better traction. Tread can be carved to better suit your individual requirements. Extreme puncture resistance. Four nylon sidewall plies.